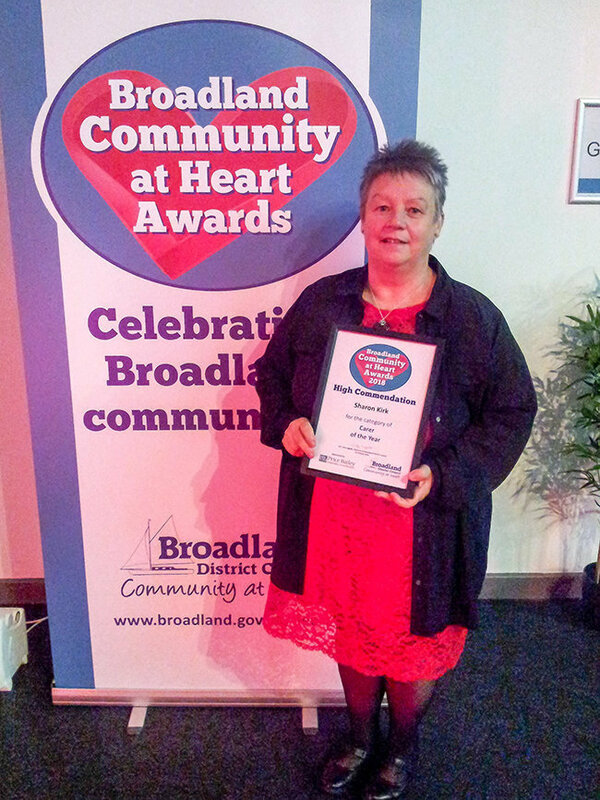 Congratulations to Sharon Kirk from The Mill House care home in Horstead, who was awarded ‘Carer of the Year’ at the Broadland Community at Heart Awards by Broadland District Council in Norwich. In a speech it was stated that ‘Sharon was the matriarch of The Mill House with 23 years of service within the home carrying out care and activities for the residents’. Judges said that Sharon should be very proud of her achievement, showing that she cares for the elderly and has so much compassion, pride and love for the The Mill House and its residents. Sharon is overwhelmed to receive this award – Congratulations Sharon, very well deserved! The Mill House is a 45 bedroom home situated in Mill Road, Horstead, Norwich. This spacious home is a beautifully converted and extended manor house and provides expert care for older people, including those living with dementia or in need of general nursing. For more information call 01603 737107 or click here to visit The Mill Hosue web page.